[German]Windows Update can seriously damage your Windows installation due to installing a wrong driver. Microsoft has now confirmed such a case with Intel SMBus Controller devices in Windows 7/8.x (and its corresponding server builds). Microsoft has started in December 2016 to release several optional INTEL driver updates via Windows Update for Windows 7 and Windows 8.1. None of those updates has been documented at all. 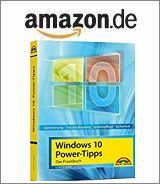 After I’ve been alerted from my German blog readers, I investigated this case and blogged about it (see Windows 7/8.1: Optional INTEL System driver updates). Several users told me, that the drivers doesn’t fits their machine`s hardware parameters. My recommendation was not let Windows install those drivers. Later I received several user reports, claiming that their drivers has damaged the system’s functionality. When you update your computer through Windows Update, some Intel SMBus Controller device drivers are unexpectedly overwritten with Intel Chipset Device software. This causes loss of functionality for some affected Intel SMBus Controller devices. The Intel SMBus Controller device provides the operating system with information about the device and hardware. This enables the operating system to display the correct product name for that piece of hardware in Device Manager. The Intel Chipset Device software does not install device drivers for the Intel SMBus Controller. Updating Intel SMBus Controller with wrong drivers via Windows Update causes a loss of device functionality. How to fix that issue? Launch Device-Manager via Windows Control Panel, select View, choose Devices by Type, and then expand the System Devices branch. Double-click the SMBus device, then click the Driver tab, and click the Roll Back Driver button to restore the SMBus Controller device driver. After this rollback restart your Windows system. Then the functionality should be back. Just in case that this method won’t help, Microsoft provides several other methods to restore the old functionality. After restoring the functionality, you should block automatic installing Windows updates. This entry was posted in issue, Update, Windows and tagged Driver, issues, Update, Windows 7 SP1, Windows 8.1. Bookmark the permalink.